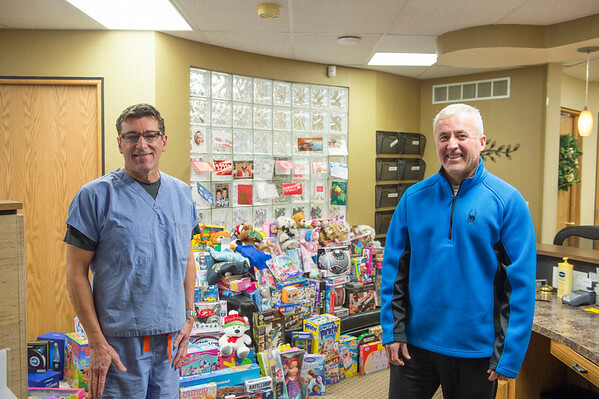 Joed Viera/Staff Photographer- Dr. James Shaw and Dr. Todd Retell in front of gifts at the Lockport Dental Group office. The gifts are for their annual Toys for Smiles program. Saturday a caravan of Mini Coopers will pick up toys from a number of drop off locations and transport them with the help of Santa Clauss to Lockport Youth Services.